Each product has its own story: learn about some that have allowed us not only to grow but also to create new technologies. Diclofenac is the most prescribed anti-inflammatory drug in the world, however, due to its insolubility and extremely bitter taste, it was never used for the treatment of inflammations in the oral cavity or the throat. 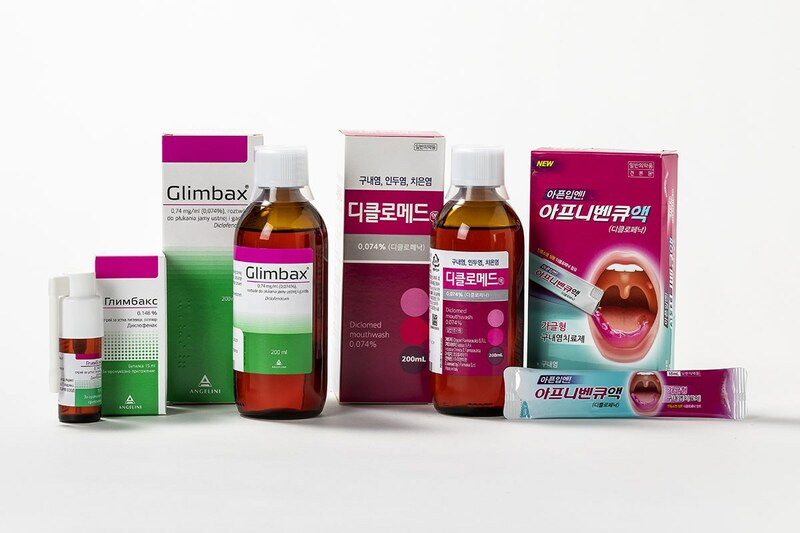 We patented a technology that makes diclofenac perfectly soluble and palatable, and with this a series of formulations indicated for the treatment of gingivitis, stomatitis and pharyngo-tonsillitis. Thanks to an international sales network, these products are distributed by very high-level partners, such as Angelini for Eastern Europe and Kolon Pharma for South Korea. Only the mouthwash is selling approximately one million units per year in Poland, two millions in South Korea; in both countries volumes have a double-digit growing rate. 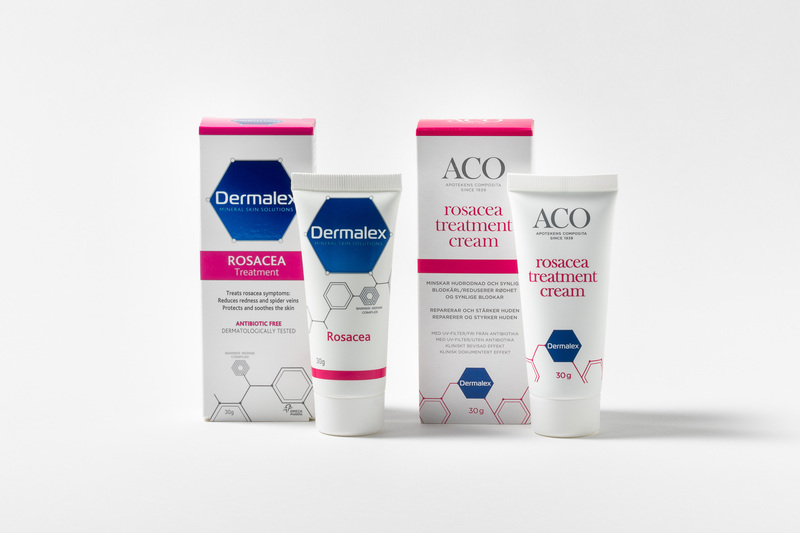 Omega Pharma (now Perrigo) asked us to develop an innovative medical device to treat rosacea, a common skin disease that negatively affects the quality of life of those who suffer from it. We developed and then clinically tested an original formulation that restores the barrier function of the skin, reducing all the main symptoms of rosacea (redness, irritation, visible capillaries). The product is today one of the most important references of Dermalex® brand. This product is distributed in 8 countries and has sold almost one million pieces since 2013. Vemedia, our Dutch partner, already owner of a known product for the treatment of onychomycosis, asked us to come up with the first formulation in the world preventing foot infections. Starting from scratch, we launched a comprehensive study to find an effective solution, that could answer to consumers' requirements - safe, easy application, immediate protection, water resistant. 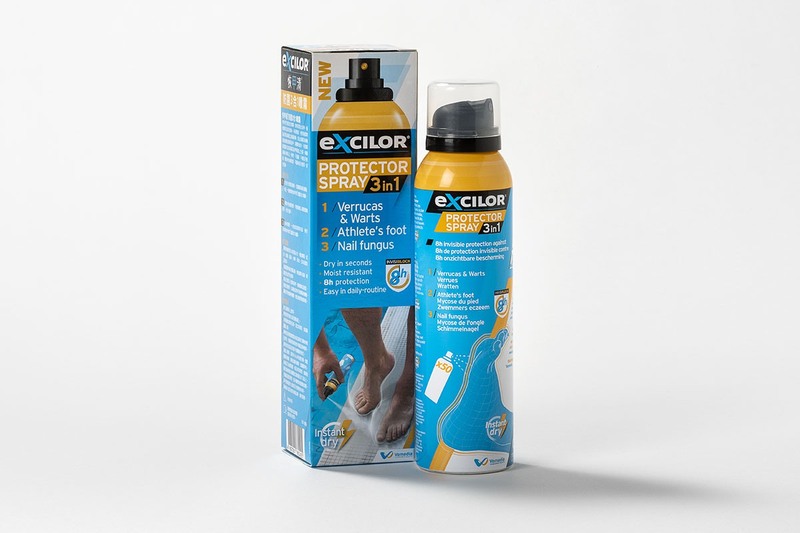 The answer was a methacrylates aerosol spray that creates a protective film on the skin, a sort of invisible sock, impenetrable to fungi and viruses still imperceptable and breathable, a unique and highly innovative technology. This product is distributed in more than 10 countries (Europe and beyond) and has sold about 900,000 pieces since its launch in 2016.